Both the teams stands in the same position with 12 points on board ranking almost same; Delhi Daredevils had got a positive as they had only played ten matches this season in comparison to Mumbai Indians, who had played over 12 games in 2016. The match is going to be more important for Delhi Daredevils as they might get the cards on their deck with this game. MI could save their position in this season of Indian Premier League by fetching the two required points after winning this match. MI, the team which was deemed as the king of all teams, are now outperforming and not able to compete on the basis. If they lost this match, technically they will be required to leave the field too. Rohit Sharma and team haven’t quite come to their actual performance points while playing at Visakhapatnam; they were bowled out for 92 in their first match in the coastal city, after which they struggled to get to 124-9 in the match against Kings XI Punjab. As we can see the game is going to be tougher for them. The match is yet excited, but many hopes of fans are connected with this game. Fans are hoping for a miracle to their favorite team. While, DD who had lost their well-wishers over the time has a great chance of winning the trust back with this match. 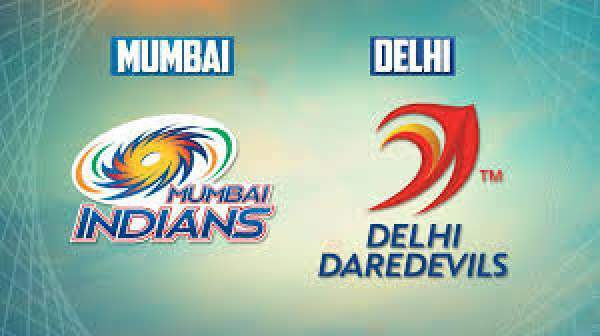 Mumbai Indians vs Delhi Daredevils live streaming is to start at 8 pm IST. In India, the game will air live on Sony Max, Sony Six HD, Sony ESPN/HD while the MI vs DD live streaming on starsports.com and Hotstar. Rest of the world can watch it online. Keep updated yourself with the latest IPL news and other sports’ updates. MI vs DD Prediction: Chances are equal, Delhi could rule out the match.